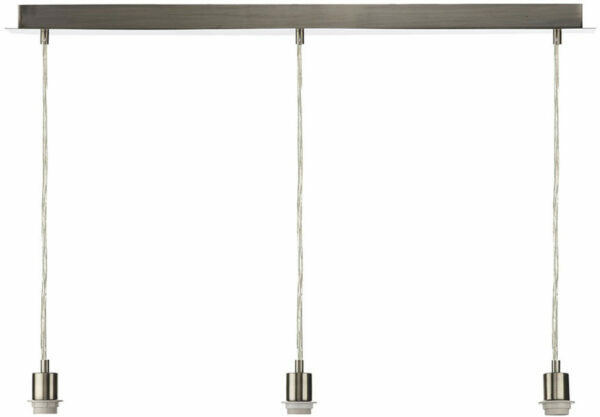 This Dar modern satin chrome 3 light pendant ceiling suspension features a rectangular ceiling mount, three extra long clear flex suspension cables and matching finish E27 lamp holders. Suitable for non electrical fabric or glass lamp shades up to a maximum weight of 2.2kg each. The three lengths of clear flex suspension are adjustable in height at the time of fitting to a maximum drop of 2 meters making it a fantastic choice for higher ceilings. 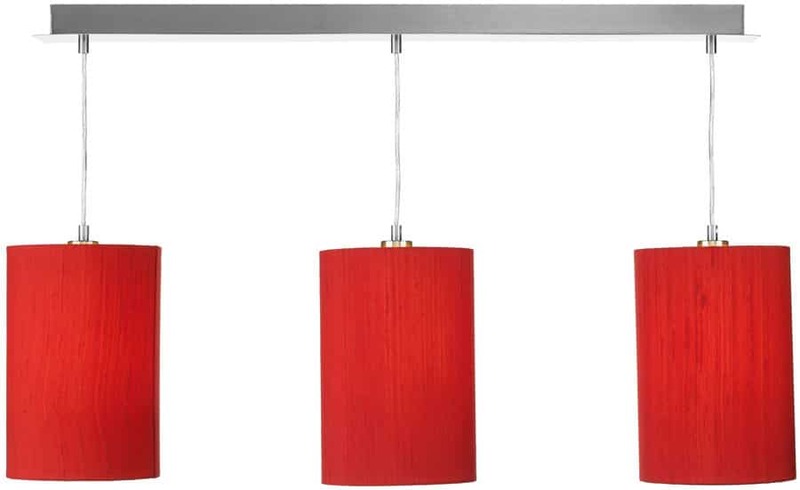 Please note: This multi-light ceiling pendant has E27 lamp holders and will not accept shades designed for a B22 (Bayonet Cap) lamp holder without modification. Our secondary images show the ceiling light fitted with a range of multi-coloured or plain shades. These are an optional extra available to purchase separately. Please feel free to contact us to discuss your requirements. Other finishes in this sleek lighting range can be viewed below and include polished chrome, antique brass and soft copper. A Class 2 double insulated product, no earth required. Please follow this link for the fitting instructions. This ceiling suspension is supplied by Dar lighting who is widely recognised as one of the leading suppliers of a full range of innovative, quality lighting products such as the modern satin chrome 3 light pendant ceiling suspension featured here.